CORAL Magazine, September/October 2014, Volume 11, Number 5. 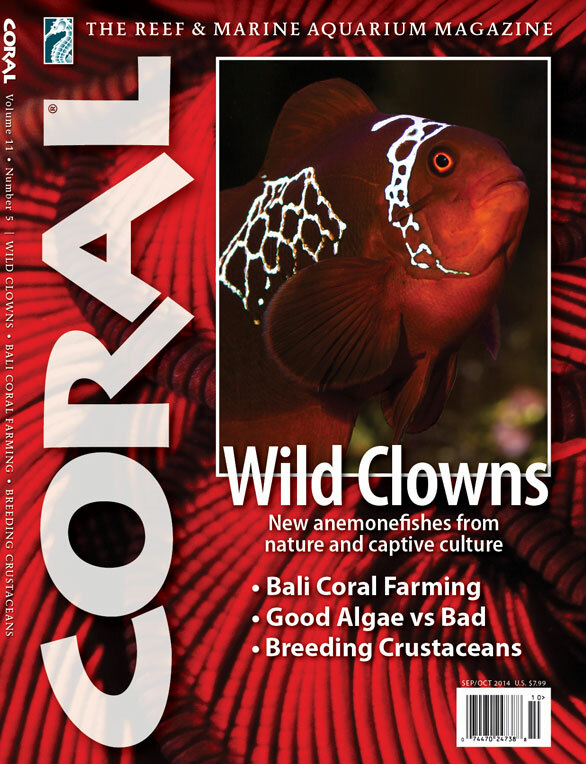 Count every clownfish you can find in this current “Wild Clowns” issue and have a chance to receive a Lifetime Subscription to CORAL Magazine or one of 20 other prizes. Every submission with the correct answer will be eligible to win. 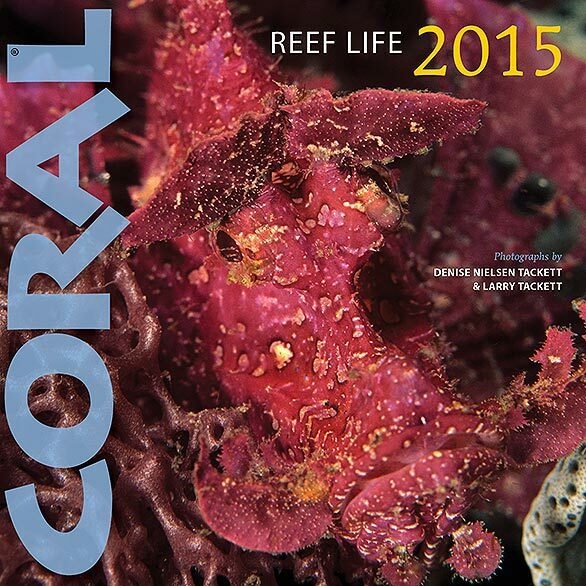 ONE Lifetime Subscription to CORAL Magazine (our life or yours). 1] Open to everyone except staff of CORAL Magazine and Reef to Rainforest Media and their families. 2] To enter, count every clownfish shown anywhere in this issue, including images in articles and advertising. A clownfish is defined as a member of the genera Amphiprion and Premnas. Each whole and partial clownfish pictured should be counted, starting the magnificent Lightning Maroon Clownfish shot on the front cover (broodstock female owned by Matt Pedersen, image shot by Gary Parr). Body/Message:   Your name and postal address. 4] Deadline: Midnight, September 30, 2014. 1] This is tougher than you might think. Partial fish do count, so be looking for every head and/or tail. 2] Judging will be by the CORAL editorial staff, using clown counts from the photographers and breeders of the fish shown. 3] All entries that match (or come closest to) the Judges’ Official Clown Tally will be entered in a random drawing for the 21 prizes. CORAL REEF LIFE 2015 Wall Calendar is coming in October, a perennial favorite that has hung in tens of thousands of homes, offices, local aquarium shops, and marine fish rooms for almost a decade. Cover price: $10.95. Images by Denise Nielsen Tackett & Larry D. Tackett. 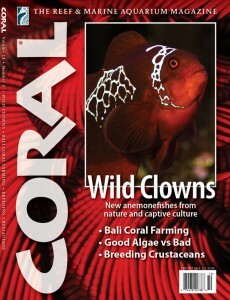 ORDER a copy of the WILD CLOWNS issue from the CORAL Shop. BETTER YET, find one today at your independent local aquarium store— click here for the current list of stores that carry CORAL.